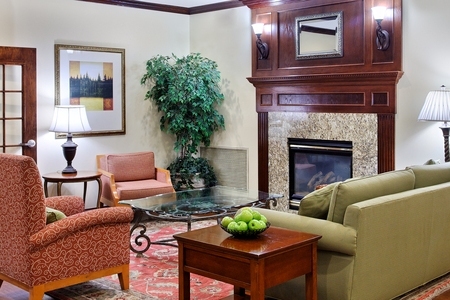 Located just off Interstate 90, the Country Inn & Suites® by Radisson, Elgin, IL puts you about six miles from Grand Victoria Casino and the Elgin Public Museum. 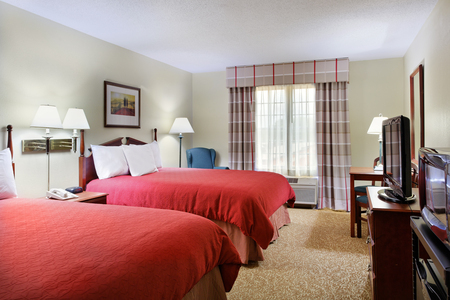 About an hour northwest of Chicago, our quiet, convenient location is just seven miles from the Elgin Sports Complex and about 30 minutes from O’Hare International Airport (ORD). Need more space? Reserve a One-bedroom Suite, which includes all standard amenities along with a separate living room with a sofa and an extra TV. From waffles to fresh fruit, the complimentary, hot breakfast offers dishes that start your day on the right note. If you’re in a hurry, pick up a pastry and a cup of coffee to go. For lunch and dinner, walk next door to Jimmy’s Charhouse, where you can enjoy a 10% discount when you mention your stay at the Country Inn & Suites. We’re also close to several other restaurants. Try delicious pub fare at the family-friendly Emmett’s Brewing Co. or a burger at Burnt Toast. Elgin Sports Complex – Teams across Illinois compete in tournaments on the 10 softball fields, 10 soccer fields and two sand volleyball courts of the Elgin Sports Complex. Drive about seven miles from the hotel to catch an adrenaline-fueled race at the Hill, Greater Chicago’s premier BMX track. Grand Victoria Casino – Test your bluffing powers with a hand of Texas Hold’em, or try your luck at this riverboat casino’s Vegas-style blackjack tables. Located less than six miles away, this casino also boasts award-winning restaurants. Villa Olivia – Hit the slopes for excellent skiing and snowboarding at Villa Olivia, just 10 miles from the hotel. In the summer, book a tee time to enjoy the resort’s golf course. 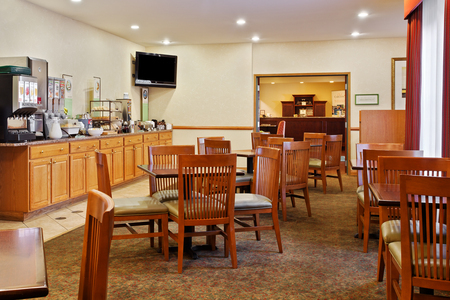 We offer two venues to accommodate your business or social events. Our 440-square-foot meeting room comfortably seats 35, while our boardroom supports an intimate gathering of up to 10 attendees. Ask about discounts through our Sports Approved program if you’re traveling with a sports team.